According to the statement, the MoUs entail supply and installation of smart meters in Gurugram, Faridabad, Hisar, Karnal, Panipat and Panchkula in three years. 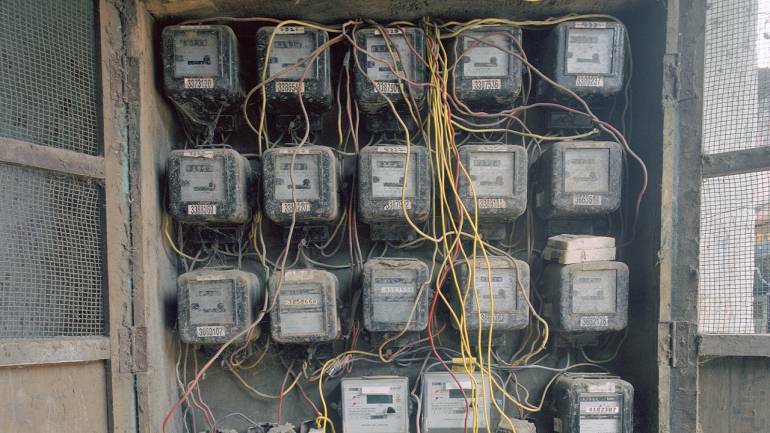 State-owned Energy Efficiency Services on Wednesday signed agreements with Haryana discoms to install 10 lakh smart meters in the state within 3 years in a phased manner. EESL inked two Memorandum of Understanding (MoUs) with UHBVN (Uttar Haryana Bijli Vitran Nigam) and DHBVN (Dakshin Haryana Bijli Vitran Nigam) to install 10 lakh smart meters in Haryana, a company statement said. Haryana Chief Minister Manohar Lal Khattar has recently approved installation of 10 lakh smart power meters in five districts of the state. The MoUs with EESL was signed by S K Bansal, Director/ Operations from DHBVN and Naresh Sardana, Director/T1 from UHBVN. EESL was represented by Raj Kumar Luthra, General Manager, Smart Meters National Programme. As per the MoUs, the implementation of smart metering (AMI) solution will enable significant billing efficiencies for both the Discoms. EESL will fund, build, operate and manage the smart metering (AMI) solution implementation in the project area for a defined project period and will monetise its investment on per month annuity basis. As part of the project, EESL will initially install meters for 10 lakh customers in select cities under the Discoms' jurisdiction in Haryana, scaling the project to more towns in subsequent years. It will engage a system integrator (SI) to implement the scheme. "Smart meters will enable consumers to monitor their consumption pattern and the corresponding cost, leading them to adapt their energy use and reduce power wastage, providing long-term carbon and financial savings. "With better complaint management, the state's grid will also achieve faster restoration from outages, while delivering improvements in system stability, reliability and transparency," Saurabh Kumar, Managing Director, EESL said. The objective of EESL's Smart Meter National Programme (SMNP) is to replace 25 crores conventional meters with smart ones. As part of the project, the EESL aims to improve billing efficiencies across the nation, enabling alignment with the loss trajectory agreed by the Discoms under the Ujwal Discom Assurance Yojana (UDAY) scheme. The smart meters programme is also an unprecedented step towards delivering digital literacy and services under the Digital India programme. This scheme will play an important role in empowering citizens by bringing in transparency and accountability in electricity consumption and billing.